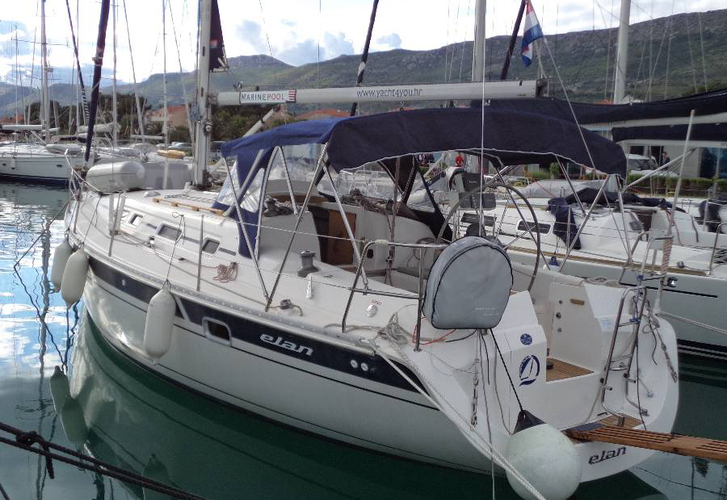 Maria is a name of boat Elan 36 ,which has been produced in 2002. 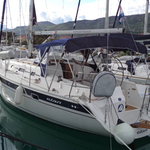 You can rent this sailboat from port Kastela in region very close to Split. 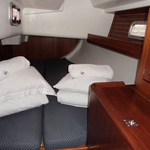 Maria is equipped with 8 sleeping places. 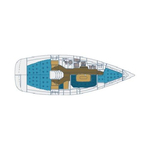 Sleeping places on the vessel are configured in 8 (6+2) scheme. 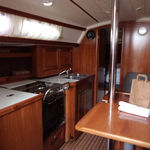 3 cabins are situated inside the sailing boat Maria. 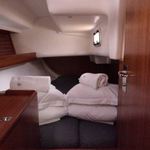 Check different boats following this link: Yacht charter Split. 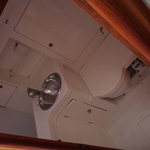 Guests can feel good on this boat , because there are 1 WC for their disposal. 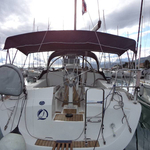 Maria is equipped with engine 28. 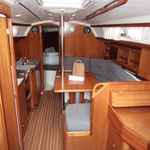 Boat's dimensions are: LOA - 10.95 m , beam - 3.59 m and 1.4 meters of draft. 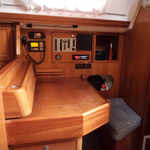 On the vessel there is following equipment: Heating, Radio / cd player, Bimini top, Teak cockpit, Dinghy, Plotter gps in cockpit, Autopilot, Furling mainsail. . Nonrefundable caution there is 1500.00 EUR. 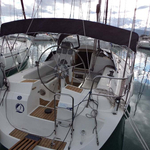 In our search engine you can effortlessly check avalailability of sailboat Maria from Kastela by going to the section Yacht charter Croatia.